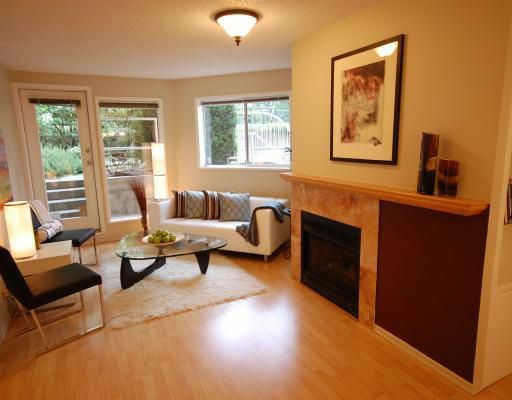 MOVE RIGHT IN to this WEST OF DENMAN 2 bedroom, 2 bathroom unit with an outdoor patio. Large kitchen, maple hardwood floors, gas fireplace, in suite laundry, en-suite bathroom, parking & storage! Great location that is steps from StanleyPark, transit & all the great shops and restaurants found on Denman. Small well managed building that has been updated with new plumbing! This suite offers such great space, large square footage and a fantastic location while being priced below the city's assessed value. Rentals and one pet are allowed and a second pet with approval. Call now and elevate your lifestyle!